Over the years we’ve had many great guests on The State of Games, and we’ve been lucky to have become friends with pretty much all of them. Such is the case with Matt & Ben, designers of Dice Hate Me Game of the Year title Fleet. If any of you dear listeners get a chance to meet and hang out with these guys at a convention go for it – they are not only great designers, they’re also amazing and fun people. Chris, you brought to mind good memories of my childhood visiting the short-lived Sesame Place theme park in Irving, TX where I grew up. It was only open a few years, but it was featured in a odd Oak Ridge Boys video (https://www.youtube.com/watch?v=TPN4gXBL1JA). Glad you finally got to experience what you’d been missing all these years. It’s good to hear the Fleeples on this podcast and learn a bit about what they’re currently designing. Fleet is still a favorite of our group, and I’m always interested in what they’re creating. 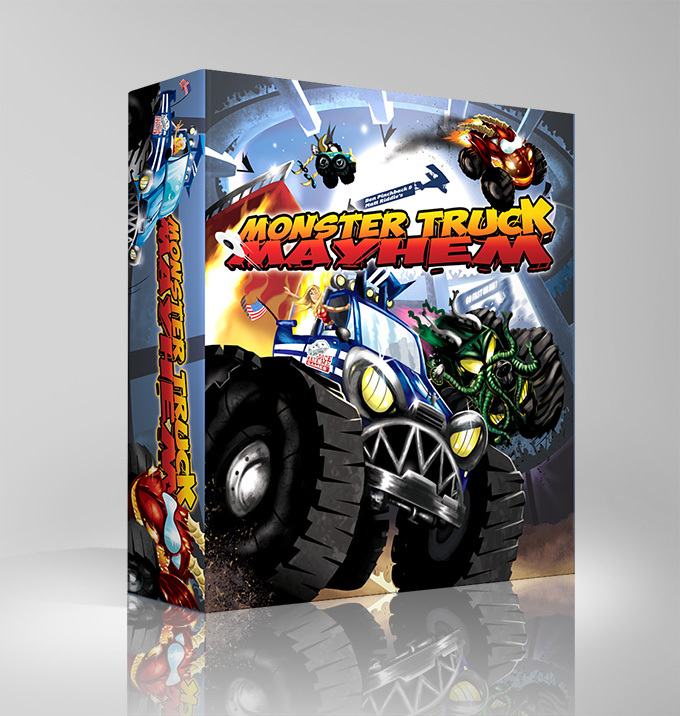 I look forward to playing Monster Truck Mayhem at the BGG.CON booth. See you in a few weeks!